My name is Adam Reuveni and I am the Music Director of Golden Era Productions. I wanted to write this letter to share some of my experiences with Ron Miscavige and expose the premise of his book as a lie. I worked every single day with him between 2002 and 2012. He hasn’t written anything honest in his book from what I can see. His real story, if written about his time in the Sea Org religious order, could only be about his life as a musician. I had the unfortunate experience of working with Ron Miscavige Senior every single day for a period of 10 years. After I started working in the Music Department in my early 20’s, I soon became Ron’s direct boss. We had a lot of music to produce and Ron wasn’t about to get it done. Between 2006 and 2012 he had the title of music composer in my department while I was the Music Director. Prior to working at Golden Era Productions, I had the opportunity to work with a Grammy and Emmy winning composer on many feature films. The musicians and artists I was working with were talented and passionate about creating high quality entertainment. Thus, when I joined the Music Department Gold in 2002 I expected the highest level of commitment and dedication. After all, this was a professional group in the Church’s religious order, the Sea Organization, with a humanitarian purpose of helping mankind. That is what I found with the staff—all except for Ron. I was shocked to find in Ron a depraved individual who was the antithesis of what the Sea Organization stands for and what Mr. David Miscavige stands for and demonstrates in his life, his dealings with others, his competence and how professional he is in everything he does. Ron only held the position of a musician in all the years he was in the Sea Org. He could probably write a whole book about me and the dozens of times he presented his terrible music ideas—and then tried to shift the responsibility for his failures back to me for not “teaching him modern music.” Yet all the while, he refused to study music or do anything to improve his game. He made my life totally miserable. I put so much time and effort in trying to get him to do well as a musician—I obtained training tutorials for him, books on music, classes, instructors who came out to teach us—and he never learned or improved. It was incredibly frustrating. While I did my best to help Ron, he was secretly working in the opposite direction of trying to fail and make everyone around him fail. I never understood then why it was always so difficult with him and now I realize that he never wanted to learn and was only hell bent on causing trouble. Given that Ron showed no real care for any facilities anyway, his actions now don’t even surprise me. That is, he was so much in his own “parallel world” that even when he had such incredible music scoring and mixing facilities at his disposal it wasn’t good enough for him. It’s called delusion and insanity. I believe an understanding of Ron’s small, insignificant work is important: From the time I began working with him from 2002 to when he took off without warning in 2012, he worked in a music room where he puttered around with music. That’s 10 long years. He was not interested in any position of responsibility in Scientology and he was not interested in responsibility just within the realm of a Music Department in an Audio Division in the Church’s studio, Golden Era Productions. To be clear, in 2006 I was in my mid 20’s and Ron was offered some executive responsibility within the Music Department only, but he shirked taking on even a low executive position within the department although he had 21 years of full time experience working in this Music Department. Ron simply wanted to be able to continue kicking back, serving his own interests in his little music room where he would have none of the pressures any real professional musician in the world faces every day—such as coming up with good music, deadlines and making ends meet. And to be clear, Golden Era Productions is a studio facility and as an organization does not have a function of Church Management. As a second-rate musician who had determined to stay at the lowest level and at the lowest ranks within just the Music Department, Ron didn’t even attend junior executive administrative meetings within Golden Era Productions. He certainly had nothing to do with any Scientology Management or decision-making meetings. During the 10 years in which I was with him every single day he had no meetings with executives of any sort on any Scientology Management activities. Ron was simply in his little music room all day or playing trumpet poorly with the band. 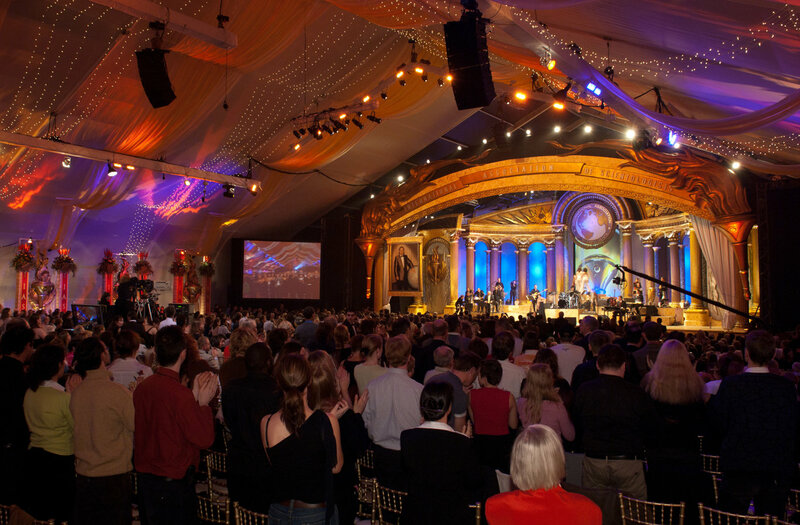 At times between 2002 and 2012, Ron and I would on occasion see Mr. David Miscavige on music scores we were working on as they related to International Scientology Events being produced. These meetings were business-like and exclusively related to a given piece of music. Mr. David Miscavige was generous in advice as to how we might improve a music score. He would always give specific and positive criticism when needed, but at the same time he was open with praise when he felt a music score was well done. We never attended any meetings on Management or planning at any time as we were working on music in a studio organization. Ron never showed interest in taking any responsibility for music, let alone a higher administrative level activity. Starting in 2009, Ron determined of his own volition that he would not attend any meetings with Mr. David Miscavige on music and would rather I represent the Music Department. Between 2002 and 2012 there was no work-related meeting with Mr. Miscavige that Ron attended without me. Each of these meetings exclusively focused on music, such as the melody on a score or a point on the arrangement. We never attended any meetings on Management or planning at any time as we were working on music in a studio organization. Ron never showed interest in taking any responsibility for music, let alone a higher administrative level activity. Yet, Ron put up an incredible pretense that he wanted to do honest work. His true motive was belied by his refusal to do the most ordinary actions every musician in the world does to create high quality music. For example, Ron is the only musician I have ever met anywhere who consistently composed music for a film without doing the smallest bit of research on the subject the music is being written for. He tried to degrade anything he was pretending to “work on.” For example, in April 2009 he was given the simple assignment of writing music for a video about Nashville. Any professional would do a study of Nashville and listen to music from Nashville—but not Ron. Incredibly, after writing a terrible piece of music that was completely inappropriate, he freely admitted that he didn’t listen to a single piece of music from Nashville or study up on it before he worked out his music. This example is all too typical of the unchanging criminal work ethic that was his life. Here is another example: I worked on an important film score in September 2009 for a film called The Way To Happiness. It is a film that provides a common sense moral code for living with chapters including Be Worthy of Trust, Seek To Live With the Truth and Be Competent. Ron pleaded with me on how he really wanted to work on this. However, he didn’t even score a single second of music, leaving a bigger problem to handle due to his false assurance. Worse than this, once the music was finished—without any help whatsoever from Ron—he falsely turned in reports claiming that he worked on this music, and took credit for it even though he had not played a single note or written a single melody. Even more debased than that, he didn’t even then bother to watch the film after the fact of having taken credit for scoring the music he never even heard. Ron is prone to noisy complaining about his treatment since he is an arrogant prima donna. Throughout the time I worked with Ron, I documented dozens of instances of Ron’s immoral actions in detailed reports that show what he was truly up to. I worked with him every day for many years and my wits were continually tried as I attempted to get him on the straight and narrow. Ron is prone to noisy complaining about his treatment since he is an arrogant prima donna. Scientology’s Sea Organization is a tough, dedicated group, a religious order that individuals dedicate themselves to of their own free will for the purpose of helping others. While Ron blatantly lies about how he has been treated, no other person in the Sea Org has been cared for with such an abundance of attention, given paid trips to the Caribbean, paid days off, lavish meals, bonuses, medical care, etc. I have extensive photographic documentation. A picture can’t lie and these pictures clearly show how good Ron had it while he was working at Gold. Mr. David Miscavige treated his father warmly and graciously. On special occasions such as his birthday, Father’s Day and Christmas, he would send Ron nice gifts or speak with him and wish him well. These are the times Ron would speak with Mr. Miscavige outside of the specific meetings we had on music, and those occasions were infrequent. Because I was working with Ron all day, for a decade, I would sometimes take part in these social activities. For example, one time Mr. Miscavige had Ron and I served a special meal to try a terrific taco dish recipe he had told Ron about. Another time Ron and I were working in the evening, and Mr. Miscavige brought us some incredible Philly Cheese Steak sandwiches that had just been grilled. Another time Mr. Miscavige set up a nice feature film for Ron, myself and a handful of others to see. On every occasion of this sort it was purely in good spirit and any intimation by Ron that he had some “inside” Church information is terribly far from any truth or reality. Maybe Ron learned some appreciation about food? Or he saw a movie? Certainly there was no occasion or time in which he came into some knowledge of anything. Frankly, in that Ron refused to take part in anything except his own self-interests, he didn’t even care to know what was happening within the Music Department, let alone Golden Era Productions, let alone the bigger scope of Scientology. When Ron left here in 2012, he said “goodnight” to me as if all was normal. That was the last time I ever saw him—4 years ago. He drove off in his car (given to him as a birthday present by his children) the next day! This was after Ron had worked as a musician and in the band at Gold every single day of his life for over 20 years. We flew together to various events for years and years and years. We played concerts around the world, and had the opportunity to perform with incredible musicians that Ron would never remotely have been able to work with were he not a staff member at Gold. He took advantage of it. Yet, after all that he just took off without a word? Actually, worse, it was a total betrayal and total cowardice. He didn’t give a damn about the other musicians or our welfare, let alone his own son and family. Sadly, several books could be filled with documented stories that reveal Ron’s deception and ill-intentioned actions. I hope this letter gives a glimpse of the type of person he really is and how what he has written is false. He cannot be trusted in any way. He’s a traitor and only has his own short-sighted ends in mind, even when it means betraying the musicians he worked with for decades, not to mention his very own flesh and blood.